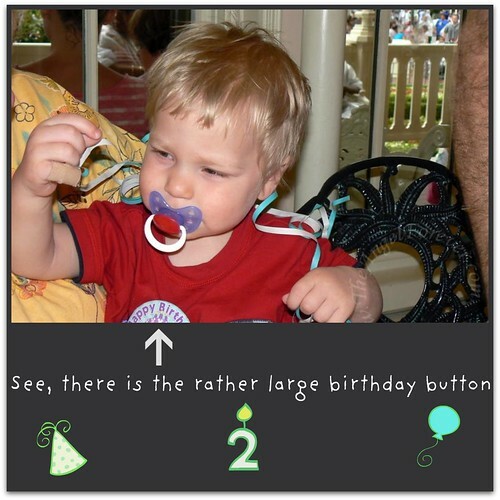 When we planned our first ever full family trip to Disney World in May 2009, we realized that we would be there for JSL’s actual second birthday. I immediately asked TechyDad where he thought we should celebrate the little guy’s big day for dinner that evening. I called Disney Advanced Dining Reservations and made an ADR for Chef Mickey for the four of us. Within a short amount of time, we were going to be a party of six. I called Chef Mickey and at that point they only had very late reservations for our party of six. That was not going to work for us. 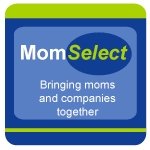 I booked our first dinner at Disney there and figured we would try for something different on JSL’s birthday. When the 90 day mark hit for our ADRs (now 180 days), I called in early that morning and after securing a time for Le Cellier, I asked about The Crystal Palace. We had eaten there on our honeymoon and had a wonderful breakfast. We figured we would try eating dinner there. 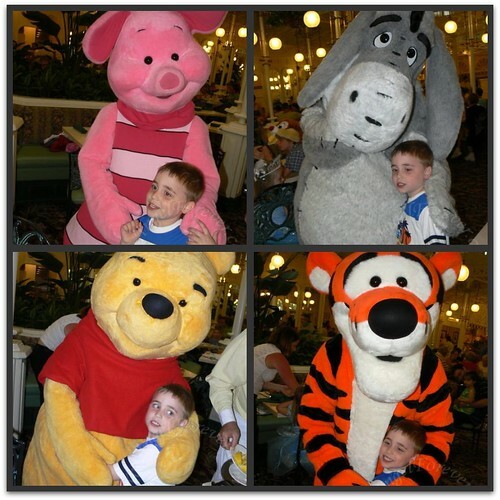 The best part, we would be able to see Winnie the Pooh, Tigger, Piglet and, my favorite, Eeyore. I told them that day that it was JSL’s actual second birthday and they said it would be on our reservation. Fast forward to May. 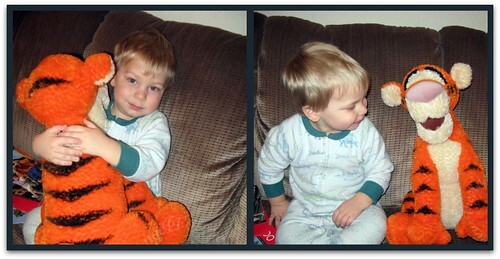 JSL got up that morning and received presents from Nana and Papa, as well as us. 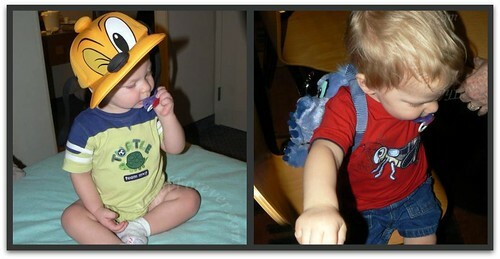 He fell in love with his Pup-Pup (aka Pluto) hat and Stitch backpack. We figured we would take it easy that day. We decided to head to Downtown Disney to do some shopping. The boys had a blast picking out stuffed animals and playing at the LEGO store. 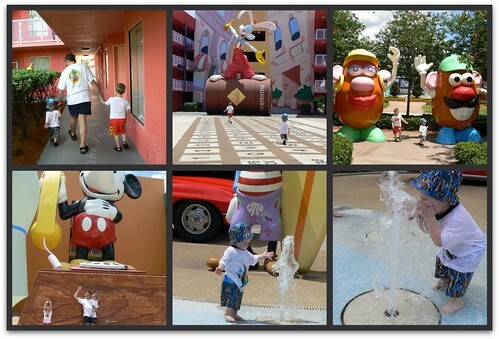 After that, we went back to Pop Century for lunch, exploring the grounds and some swimming. 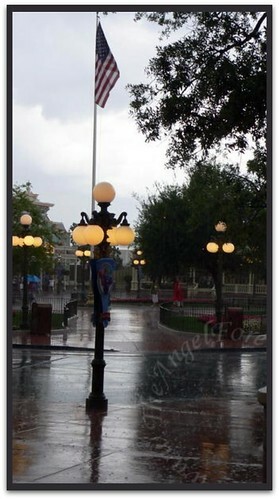 Then, as we made our way to the Magic Kingdom, the sky turned an awful shade of gray and the rain came down in buckets. We eventually made our way to The Crystal Palace and dried off inside. When we sat down, we knew that NHL was finally good with the characters and hoped to get some decent photos. As the week went on, he warmed up to this process. Unfortunately, the birthday boy was not so thrilled. He cringed every time he saw Pooh, Tigger, Eeyore or Piglet coming around. After a while, he let Pooh Bear come close to the table. 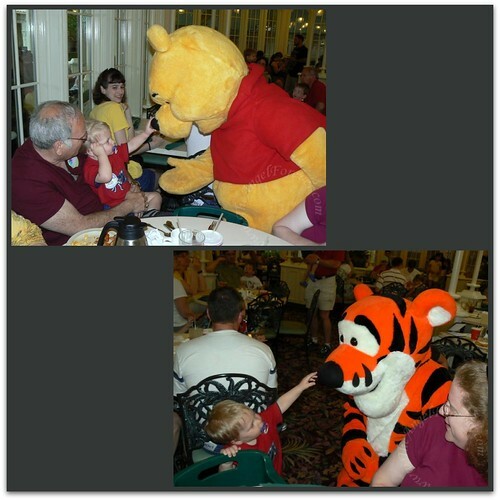 With Papa’s help, he touched Pooh’s nose. 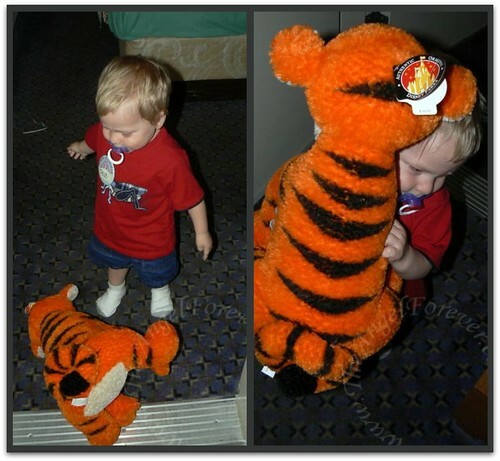 Soon after, Tigger came around and, without asking, JSL went to Tigger’s nose. We had a breakthough moment. Oh, and if you ever come over and hear us tell JSL to go and get Cupcake, that is just our pet name for this giant Tigger stuffed animal. Kuddos to Disney for fixing an "Oops" and making the little guy’s birthday even more magical. What an awesome birthday! I can’t wait to take our kids there one day. 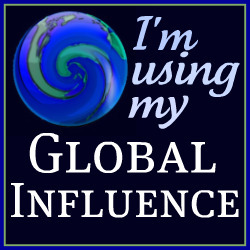 .-= Kimberly@PrettyPinkMomma´s last blog ..True Story Tuesday – English Language and the Silent P =-.